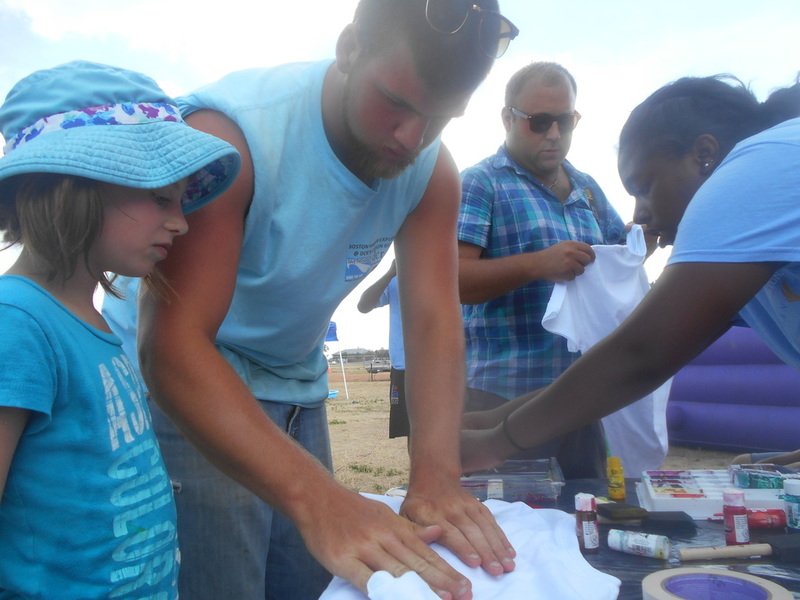 On Thursday at Moakley park in South Boston, the South Boston Neighborhood House hosted an event called Olliepalooza. The event was outstanding! It was hot and sunny, but everywhere you looked there were kids running and playing. They had water slides and sprinklers everywhere. 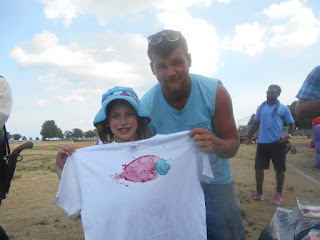 We also had fish-printing. All the kids loved it. They got to design and make a fish-print, some on shirts and some on rice paper. They had all types of ideas and designs! They went all out with spots and stripes. The kids and even their parents were interested in the fish-prints. The kids made all sorts of prints. They made stripes, polka-dots, polka-dots and stripes. Some kids even made multi layered.I really enjoyed the event and I'm glad I got to make so many kids happier than when they arrived.